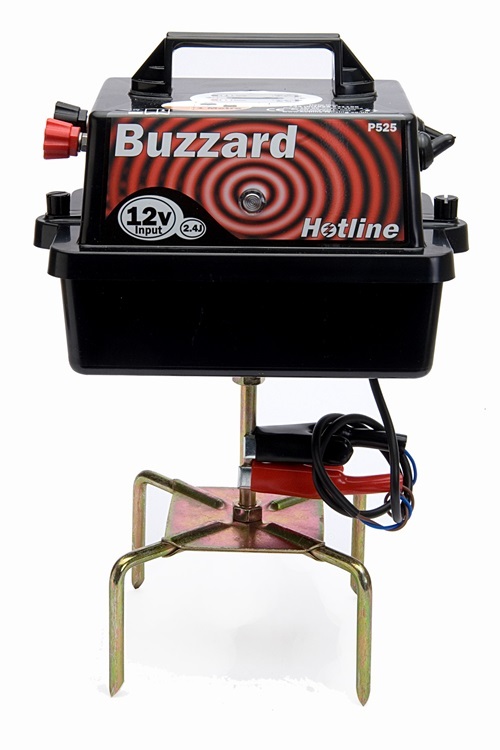 The Hotline HLB525 Buzzard 12v Energiser is a multi-purpose unit for general use, whether keeping in horses, cattle, pigs or other animals this unit will perform well. It has an integral four prong metal stand making installation simple and ensuring that the unit is protected from surface water and dirt.. This unit has high and a low voltage output settings for extra flexibility and will give a battery life of approximately 1.5 weeks with a typical 75AHr battery. The 'low' setting can be used to extend the battery life when a lower fence voltage is sufficient.